Learning to dive as well. Explore the submarine landscapes weightless light a fish, watch fascinating animals or take fotos. Diving is an entertaining activity for the whole family. In austrian lakes or carribean waters, your PADI certification from sharkforce is internationally accepted and required to rent equipement or board a diving vessel. With sharkforce.at you can lear to dive how you want, when you want and where you want, all courses are held exactly to your needs. Name time and location or the size of your class, learn at home or listen to theory lessons, the choice is yours. The actual diving is mostly done in the beautiful lakes Attersee, Traunsee or Feldkirchner Badeseen, but any other location of your choice is of course possible. All our students are covered by a free DAN insurance! 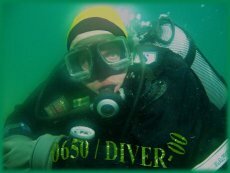 PADI course material is based on modern didactics. For most of our scuba courses you´ll get a workbook and a DVD, making your home-studies interesting and entertaining. Studying at home shortens the theory lessons in class significantly, leaving us more quality time to be in the water.